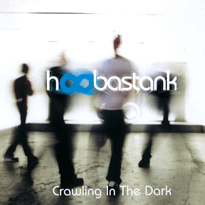 «Crawling in the Dark» ترانه ای است از Hoobastank اولین ترانه از آلبومشان Hoobastank که در سال 2002 منتشر شد. سبک ترانه Post-grunge, alternative metalاست. برای دانلود ترانه اینجا را کلیک کنید…. Is there something more than what i’ve been handed? And how much longer till I finally know? ~ توسط toby در ژوئن 3, 2010.